Brazil’s Hazeroth has returned with their most powerful release yet, the full length, Charms of sin. This black metal band has been pounding out solid tracks since 2001, but Charms of sin has taken the band from rough hewn artistry to a polished brilliance. 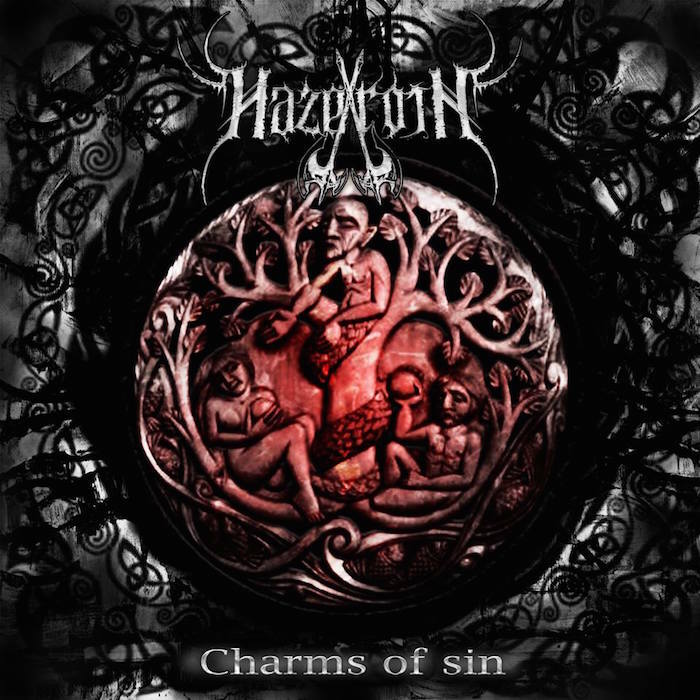 Hazeroth hasn’t declared Charms of sin as being a concept album, but thematically the release carries a common focus; how sin pulls mankind into the depths. There is forgiveness with you. Some common themes are carried through the release. A plea to God for help “King of the Nations”, “Tremble of Those Who Perish”. Struggling against sin finds a place in two of the key tracks. “Diabolus” with Satan’s attempts to pervert God’s creation. The title track “Charms of sin” tells of a dialogue between man and God. No one will stand before you, o Lord! Why have you rejected me, oh my creation? Sin has corrupted you completely. While “Outrage” and “Flame of the Battle in Hazeroth” explore the struggles created by sin, begging for forgiveness (“I Surrender to Holiness”) allows us to find God’s deliverance (“This Is Our God”). He snatched me from the darkness and gave me his forgiveness. Rescued the rot of sin. This is our God! This is our God! Treated my wounds and took my pains. The album closes with the uplifting “All Honor”, with it’s hymn of praise to God. By forgoing their native Portuguese in favour of English on Charms of sin, Hazeroth is destined to expand their fan base into a broader world. Lacking an inherent ability in English does hinder Hazeroth’s lyrical content to a small degree with it’s simplistic terminology. However the album’s intent remains true as Charms of sin has created a distinct perspective on sin and it’s effect on our souls.